Founded in 1994 from the Historical and Folklore Foundation of Aegialeia (I.L.E.A), by the initiative and actions of its president Vana Mpetevi lyricist - historian. It is situated in a two-stoney traditional store building, which is linked to Andreas Londos' historic family. 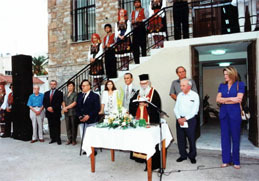 Was opened for the public in September 1998. 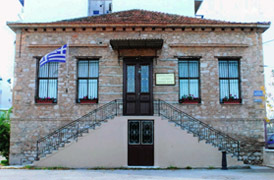 The Folklore Museum is placed on the ground floor and the Historic Museum is on the first floor. 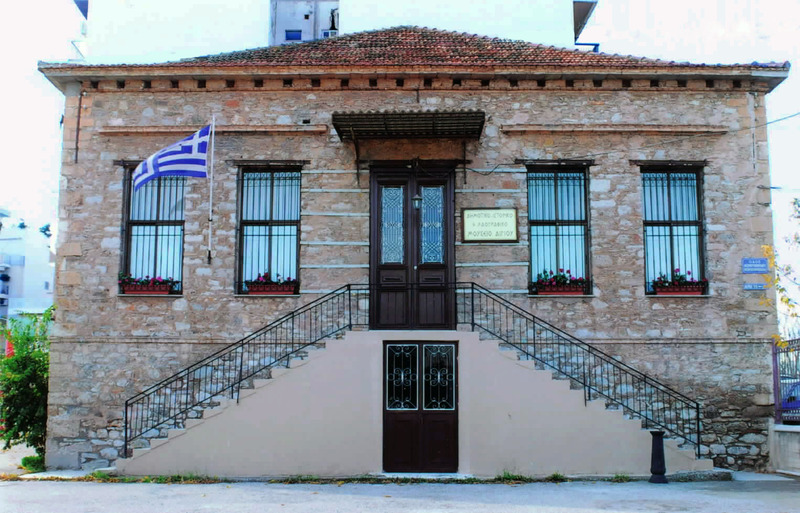 The exhibits are excusive offers from the residents of Aeghio (family heirlooms) and cover all historical periods. The folklore material is varied and remarkable, classified into units in four rooms, and includes: household utensils, furniture, costumes, agricultural tools and machinery used for household purposes, items rural and bucolic life, looms hand woven materials and tools of textile industry and others. The Historical exhibits are also significant and of particular historical value. They are allocated in six rooms, according to the eras, from the Turkish Occupation until 1950. This material consists of guns, costumes, jewelry that dates back to 1821, coins, paintings, historical photographs, documents, war medals, items from the Second World War etc. 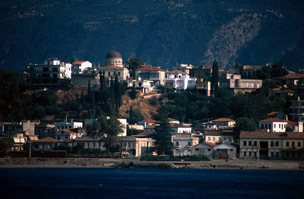 Aeghio is capital of Aegialeia province of Achaia prefecture, with about 22.000 population, a city by the sea of the Corinthian gulf. With 175Km distance from Athens and 40Km from Patras nearest big city. Geographically you can find it in 38ο 15' north and 19ο 45,30' east from Paris meridian. The city is build on a stony hill altitude about 50m from sea, wile by the sea harbor facilities are established (near the port) as well as many old stony buildings (old raisin store houses), that now one by one they transform to nice places of recreation (restaurants, cafe, bars etc). Many of the old buildings have bin pulled down, bewaring the reforming program of the coast area of the city, that started in 1975, the period of the late George Panagopoulos Mayors, and is still going to its complication. On the coast also great industry facilities are installed, E.T.E.L. and paper factory that once signed the pulse of life and economy of the city, the commercial edge period (Now are out of duty). The most known site of the Aeghio beach is the famous "Plane tree of Pausanias" near by the twelve fountains, in front the "touristy cafe" (Pausanias did report the tree in his Achaecs), that is a historic monument of the city. But the jewel of the beach - and of all the city of Aeghio - is the church of Panagia Trypiti (fountain of life) witch "nailed" in the rock, is located on the waterfront, between fabulous steps of garden, with every kind of flowers superb in the near by place. The rock almost vertical divides the up town from the down town, decorated with steps and tunnels that leads from the seashore to the upper town, as well as a stony-made road from the roots of the rock to the Archaeological Museum, now decorated with a stowny side wall and ends to the seashore. One of the few but major in value ecological place is the hydro bio lagoon of Aliki. Is an essential bio life envelopment that lies three kilometers east of the town, and occupies 180 acres. Its vital position that connect east Greece to the west is very important for the rare species and birds that visit the lake every year. It offers opportunities to various species that are in the danger of elimination. After calculations scientists estimate that 210 various birds leave there. At the seashore two marin athletic clubs are housed and operating and various touristy boats and fishing boats harboring there. Now at the paper factory facilities the new university department (T.E.I.) is established including a school of physiotherapy that started working at 2003 with perspective other T.E.I. schools to operate soon. It is an ideal location, wile the students are going to give cultural and economical boost to the town.